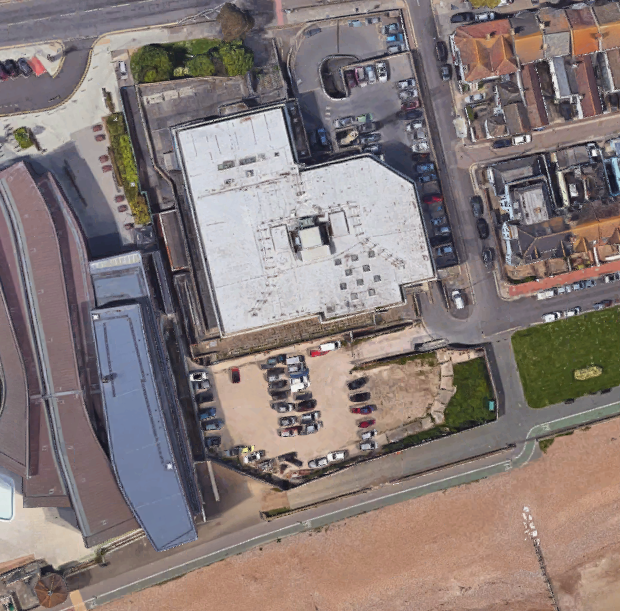 Hughes and Salvidge were chosen to demolish the former Aquarena Leisure Centre on Worthing seafront. The 3-month project started in November, 2017 and completed on schedule in February, 2018. Our scope of works included the demolition of the extensive sports centre complex, including a swimming pool, plus the demolition of a high-level chimney on the site. Demolition works commenced after asbestos removal and a soft-strip of the buildings. An electrical sub-station was also present on the western boundary of the site, which was due for disconnection, but live at the start of our works. We therefore adapted our methods to start work on the eastern side of the site and work back towards this area. By the time we reached the sub-station area it had been disconnected. Once demolition of the buildings and structures had been completed our scope of works also involved the removal of the site’s slab and the site was then left clear and secure for handover to the client.